In the early hours of November 9, 2016 as the acting finance officer of the University of Hyderabad, I got a call from a faculty colleague on the possible ways to disburse payments to a group of conference participants. The difficulty arose since INR 500 and INR 1000 notes (bills) had ceased to be legal tender following an announcement by the Prime Minister Mr. Narendra Modi. I quickly updated myself by reading the Times of India and also by speaking to the bank manager on campus. 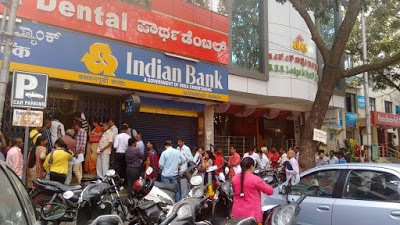 The banks had been directed to exchange old notes against new ones and set withdrawal limits (these are set from time to time). 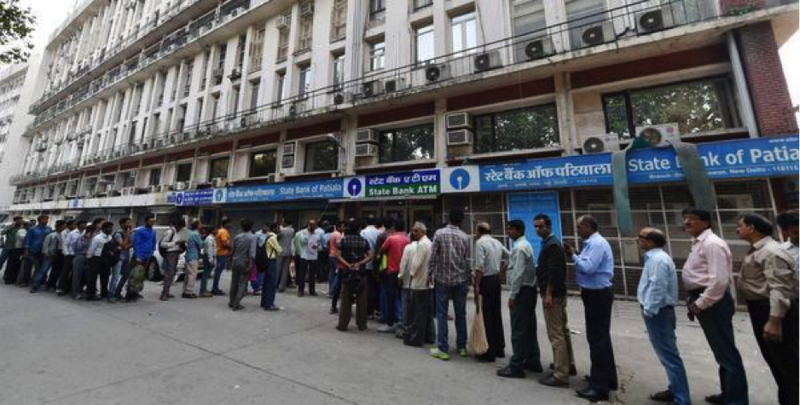 On the first day, the bankers seemed ready and confident to handle the demand for note exchanges and withdrawals. I confirmed this by calling up a banker friend handling a branch in a suburban area. To quote him, “We have received Rs1 crore worth cash of smaller denominations last evening. Though the whole move has come as a surprise we will be able to meet the cash demand." As days passed, the ATMS dried up and I could see long queues outside the branches of different banks and ATMs. 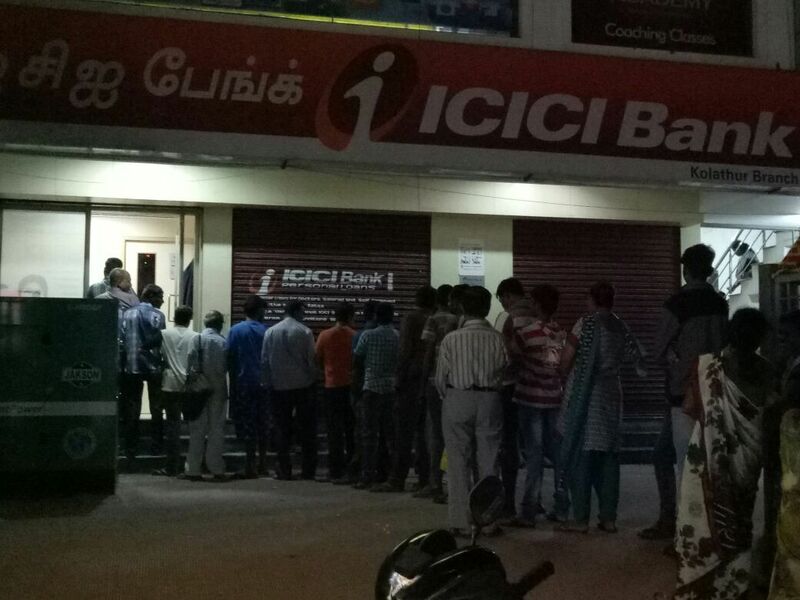 As I casually surveyed these queues, I tried not to restrict my analysis to the macro implications of demonetisation like my fellow economists. Some economists in India termed Mr. Modi’s idea of tracking down black money through this demonetisation move as a meaningless exercise and some opined that the exercise might be partially effective. The media started highlighting possible ways of laundering black money following this demonetisation announcement. As an IMTFI fellow working on cashless payment modes and prepaid cards, I started thinking more on our behavior in general and that of the rural folks in particular. The financial inclusion efforts in India have been working to ensure that everyone has a bank account and a debit card to begin with. Experiments on technology-enabled financial services and payment modes like mobile phones, wallets, prepaid cards are at different stages. How can one best describe the current situation? In my view, it is probably a transitory cash exclusion rather than financial exclusion due to demonetisation. 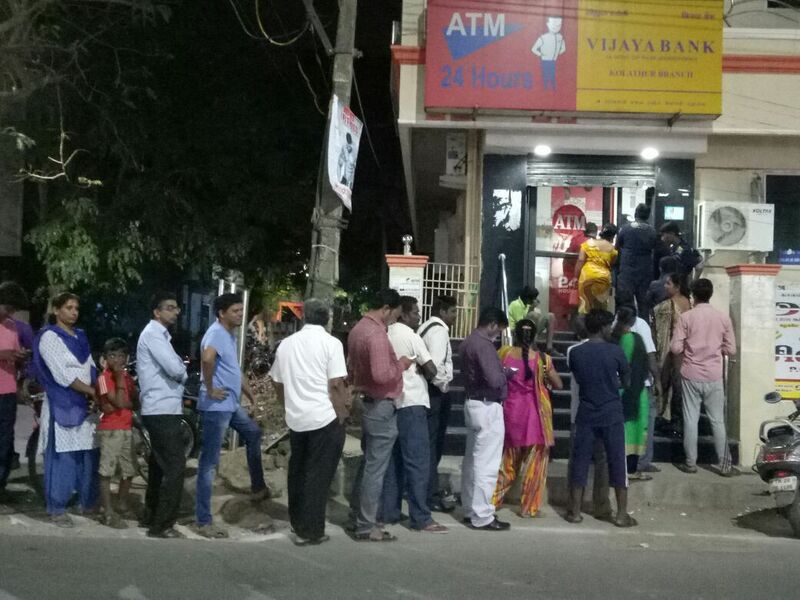 However, the long queues seen in bank branches and ATMs in the first two weeks post demonetization may not be entirely due to the day-to-day transaction demand for cash. It’s rather a precautionary motive to hoard extra cash to avoid this transitory uncertainty. Such hoarding behavior may differ from one region to the other. I visited a relatively poorer state of India, Odisha, during Nov 9-10 and again during Nov20-24. 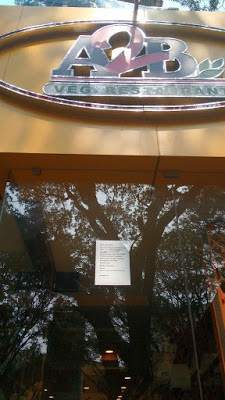 I didn’t see any panicking crowd before ATMs and branches. The situation seemed to be quite normal. I did some intercept interviews on my way there with cab drivers and street vendors. I learned that the prices in some sectors, especially perishables including say fish, might have come down but that the whole move has been taken very positively by the public as a surgical strike on black money. The rest is all adjustment cost and a passing phase. The perceived cash crisis has paved ways for mobile based payment apps, wallets, etc. to earn quick wins by offering discounts and luring customers to use these apps for making payments. The Modi government has declared several standard operating procedures to encourage digital payments such as reducing transaction fees for digital payments in general and waiving such fees for specific transactions. Digital/Mobile money seems to be taking off with operators like PayTM, Freecharge, and Mobikwik gaining higher market share and confidence of people, especially in urban areas. A policy-induced move towards digital payments has turned into a crisis-induced move in today’s digital India. So far, digital payments and remittances including mobile money, wallets, use of POS machines etc., have been promotional in nature as providers including government, banks, and the financial sector have worked to attract people to the benefits of these modes. This is policy induced. People adopt these modes when they are convinced of the benefits they derive from them. The perceived and actual benefits include lower transaction costs, safety, utility in making payments, and liquidity, to name the major ones. The uptake has largely depended on these factors from supply and demand sides. But since demonetization began, a sort of crisis for some, everyone is now compelled to resort to these digital modes as far as possible. In the process, then, new segments of the population are now also learning the benefits of these digital payment solutions. For instance, an Indian television advertisement shows a son pleasing his father by making utility payments from his mobile within seconds. Now, the father is inquisitive about this payment mode and follows all the advertisements in television, newspapers, and the radio. All providers have come up with their apps/solutions to attract customers. In my view, this is a crisis-induced move towards making India digitally and financially inclusive. As I read the national daily today I am reminded of my pre-paid card project on insurance payments in Varanasi. In Hyderabad, the city where I live, the State Bank of Hyderabad in the city ordered about 3 lakh pre-paid cards to distribute to both customers and non-customers(reports Times of India on Dec 12, 2016). Luxury spending has been reduced and people have started using the cards for very small transactions such as purchasing groceries, daily essentials and fuel. These cards would work like mobile recharge for amounts of INR 50/- and below. The customers can add funds either by directly paying to banks or by adding funds online. I also recall my research in rural Varanasi, my field site for the IMTFI project. At the time of the study, respondents were in many cases skeptical about new crisp banknotes but fine with the old well-worn or soiled notes dispensed by the ATMs because they felt these notes were trustworthy (not counterfeit). They were proud to have possessed a debit card or a pre-paid card to receive their payments and to store liquidity for a while. This was to avoid theft of cash at home or some relative requesting to borrow some cash. It was also partly to earn a little interest on such cash parked at a bank. I remember a respondent showing me a loan pass book of a different micro finance company, where some cash was ploughed back with loan repayments for some interest in return. It’s all about price and non-price convenience that these respondents derive by parting with cash but not entirely with liquidity. The interest rate being the price of money or the opportunity cost of holding cash, respondents derived price convenience by earning a little interest. The non-price convenience refers to the absence of theft, of the need to lend a family member some cash, of the burden of hiding cash in a tiny spice container in the kitchen. How might my respondents feel now? They may not understand the big word, “demonetisation.” They may face a shortage of cash for their daily needs. 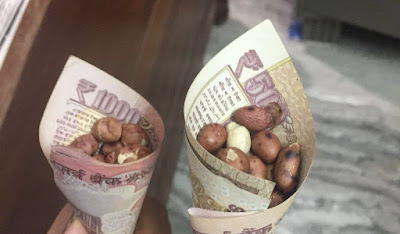 Because they always preferred soiled currencies of denominations below INR 1000, I guess they will doubt more the new flashy notes of INR 2000 and INR 500 denominations dispensed either at ATMs or over the bank counters. But it’s also true that even the educated mass used to suspect the genuineness of INR 1000 notes since before demonetization these were found to be fake on a number of occasions. Rural respondents at my field site may face a temporary slowdown in their small/petty business - a kind of local deflation, I would say. Prices of the goods they sell may plummet for a few weeks until they get currency at hand and start believing that these new currency notes are genuine. A step forward in access to and availability of expanded digital payment infrastructures might help rural folks. They should be able to receive and make payments using either a pre-paid card or a mobile. All may not have bank accounts. The provider of cards or mobile based solutions should be able to handle both types of rural folks i.e., with or without bank accounts. At best, my respondents may likely be indifferent to this demonetisation given their beliefs that new high denomination currency notes may not be genuine and their largely low volume of daily cash transactions. I am sure they will be better off going beyond cash, as envisioned by Prime Minister Modi. I will have to visit my field again to learn more from my motivated respondents, the clients of Utkarsh Micro finance limited, which is in transition to a small finance bank. 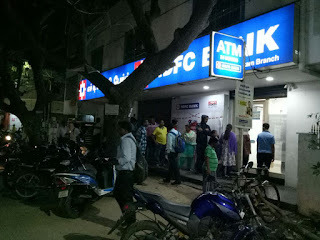 In this first weekend of January I am happy to see the shorter queues before the ATMs and bank branches in Hyderabad. The long pending demand for INR 500 notes has been met now. 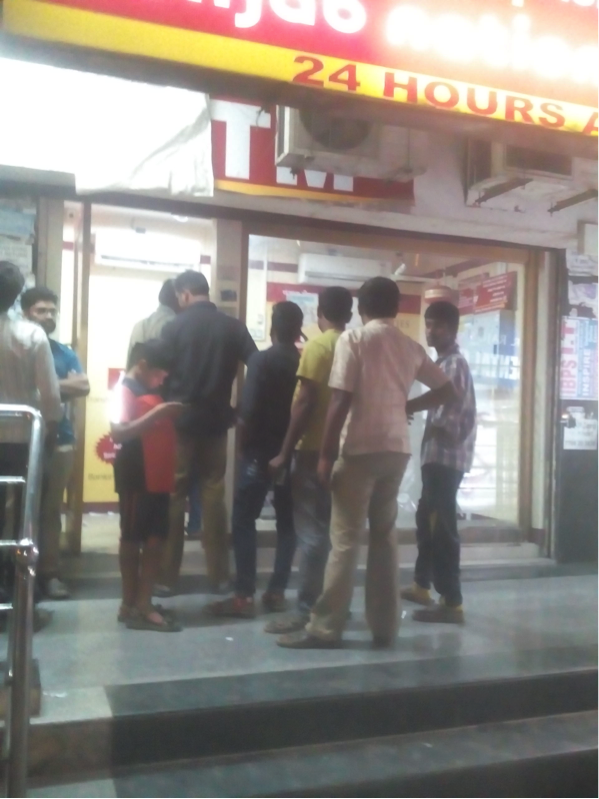 The recalibrated ATMs have been dispensing INR500 notes for the last two days. The ATM withdrawal limits are now revised to INR 4500 per day. This is going to curb the hoarding of cash and the hoarding of small denomination notes (the “chillar” in local language). But the digital inertia may turn into a big leap towards a cashless Indian economy. The print and electronic media are out with advertisements to this effect on a daily basis. To sum up, this move by Mr. Modi, though originally aimed at curbing black money and increasing tax collections, has now become a crisis-led digital-financial inclusion drive. This has acted as a positive shock and game changer in instilling confidence among the lower strata to go digital. However, the success and sustainability of this move depends on the supporting infrastructure, both technological and financial. Needless to emphasize that the financial service providers in this digital payment segment have turned this cash crisis into an opportunity to scale up their technology-led payment services and products. But the occasional reporting on frauds and cyber-attacks in the media has the potential to discourage people from using digital modes of payment, including internet banking. The net result will depend on how the financial system faces these challenges. 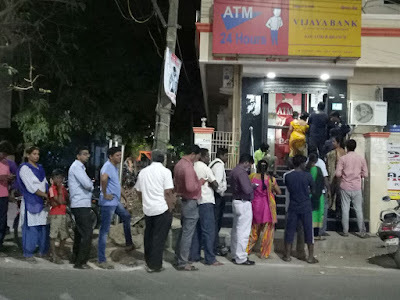 I will have to wait for numbers about uptake of digital payment services and on incidents of fraud to have further evidence, aspects of which I will address in an upcoming post on model cashless villages around Hyderabad, similar to the subject of my IMTFI study in Varanasi, Uttar Pradesh. Demonetization. A term most people in India had never encountered before November 8 last year, today dominates newspaper headlines, electronic media discussions and everyday conversations in the marketplace alike. (There are even short forms for it! My favourite? Demon!). Several aspects of demonetization have been extensively analyzed, including the legality of its adoption and declaration, and the repercussions of this move for the credibility of the Indian central bank, besides its short and long-term implications for the everyday transactions of various sectors (especially the ‘informal’ and digital payments companies) and the overall economy. IMTFI researchers will recognize from their own work across the globe the importance of several of these dimensions in shaping people’s monetary and spending practices (Indeed, in our own research, my co-PI Elisa Oreglia emphasizes the link between abrupt shifts in monetary policies, including demonetization without convertibility, in Myanmar and people’s lack of faith in banks and in currency as well as the practice of saving in gold prevalent in the country). One aspect that several of our research projects have gone on to highlight is the diversity of such practices. What I want to talk about here is the disconnect between this diversity on the ground, on the one hand, and the universalizing terms and concepts we are seeing employed to present the vision and rhetoric of demonetization in India, on the other. I am especially concerned with the implications of this disconnect for financial inclusion (and exclusion). Take the idea of ‘black money’, for example, whose elimination was among the first rationales offered for the demonetization move in India. 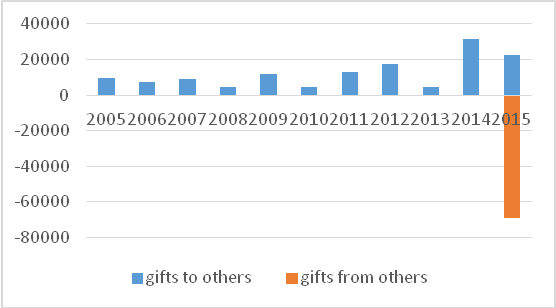 As economists and policy analysts have now been pointing out, ‘black money’ is many things. If corruption is the ultimate target, cash might well be the wrong place to look for ‘black’ wealth, which is more likely to be in the form of real estate or gold, and in circulation rather than stashed at home. Moreover, in its passage from personal stashes to the bank, ‘black’ wealth is often converted to white with the help of brokers of various kinds, thereby challenging the association between demonetization and the elimination of illegally obtained cash. Meanwhile, if ‘black money’ includes all unrecorded transactions (transactions in cash without a bill, money that is not in bank accounts etc. ), this quite often encompasses cash that is legally earned but that individuals may wish to keep hidden for a variety of reasons unconnected to corruption. IMTFI researchers and many others working on the practices involved in monetary transactions have pointed to the many ways in which people choose to keep their cash at home because they may not trust banks, or because they may wish to save money away from the eyes of their family or community members (see here for Tara Nair’s discussion from our Nov 11, 2016 financial inclusion workshop on the repercussions of demonetization on women’s small savings in cash). 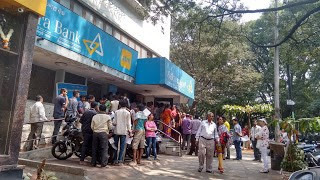 Given the variety of reasons that motivate people to record transactions or to keep them hidden, it is safe to say that a policy conflating all these motivations and types of holdings into a single category of ‘black money,’ and attempting to wipe ‘it’ out, will cause deep distress to large sections of the population. Another rationale for demonetization that came a few days after the official announcement was the need to move towards cashlessness. Like ‘black money,’ ‘cashless’ is a baggy term. People did in fact go cashless in the aftermath of the demonetization – but perhaps in ways that the policy makers had not quite imagined! There were stories of people going back to a barter system in some regions. Several neighborhood shops – and a snack shop at the place I work – started creating credit registers for their customers, agreeing to be paid once normalcy returned. But, of course, neither of these approached the desirable state of cashlessness that was being advocated. One of the perceived benefits of going cashless was the lower transaction costs of using digital money compared to paper currency. However, in light of the demonetization, we have been seeing how several kinds of transaction costs are encountered in going cashless using digital money too. Again, this is (especially) not news to IMTFI researchers: questions of literacy, digital literacy, the cost of devices that can handle digital money transactions, regulation limits on such transactions etc. are all reasons that make cashlessness costly for many potential users (in addition to the many hurdles currently being faced because of the transition and inadequate physical infrastructure). These costs vary drastically by the point of transaction and volumes. 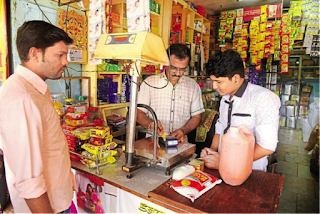 We have been reading that small scale businesses and street vendors, for example, that are customer facing, have few personnel, and operate on low value transactions are struggling to deal with the time and monetary costs of operating through a PoS machine or an app such as Paytm for every customer (especially since they often have to deal with several such customers at the same time). Finally, I want to point out the binary of cash and digital that has become prominent post demonetization: you are either for cashlessness or a supporter of cash. Cash is messy, costly, and for those who don’t know any better. This binary thinking, I argue, takes away the flexibility that I once thought digital platforms offered me. Prior to demonetization, the growth of digital money was very slow in India despite the presence of payment platforms for some time. 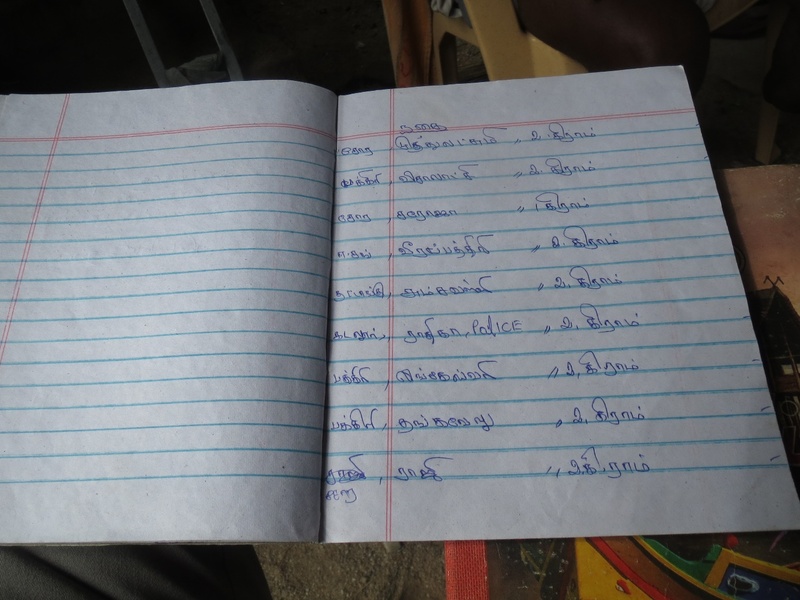 In fact, in my IMTFI research, I was hard pressed to find vendors or users of digital money in the Kerala fishing town I was studying back in May 2016. Within the often tough circumstances of people’s lives, the decision to use cash over digital payment platforms indicated some limited amount of choice that people exercised in the context of their economic transactions. Whether because they didn’t have access to mobile devices, or because they were uncomfortable using the interface or were not literate, or indeed because they liked the feel of physical currency in their hands, people continued using hard cash. Even for those of us without such constraints, there was a choice to use digital platforms or cash as the situation warranted – I would go so far as to say that flexibility was part of the value that digital platforms offered! The use of digital money could have been incentivized in many ways which would have involved dealing with the range of issues that people had with digital money that I outlined above. But making it impossible to get one’s hands on physical cash was not one most people would have advocated. Today, the use of digital payment platforms has grown tremendously post demonetization in the face of the limited availability of currency notes, especially change (the demonetization introduced a higher denomination Rs. 2000 note after discontinuing the Rs.1000 note, besides introducing new Rs.500 notes to replace the old Rs.500 notes). But, the adoption of digital payment platforms today is out of compulsion rather than a choice for many (though it is being called a sacrifice for the nation rather than compulsion). It is critical that we examine who is compelled to use digital platforms and who can choose to do so. 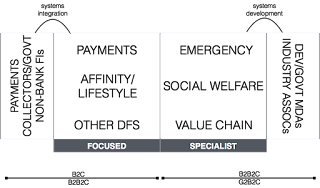 Design 101 tells that an analysis of user needs should form the core of designing a product (whether in technology or policy). Yet, time and again, we have seen that the design of technologies (and of policies) starts by identifying a problem and solutions that are assumed to be desirable (cashlessness), and a vision that is neutral and unproblematic on the surface (who could be against eliminating ‘black money’ and ‘corruption’? ), without consulting with its diverse potential users. While we have made headway in identifying the diverse practices on the ground that inhabit every monolithic category or concept on paper, it is perhaps time to explore in parallel how ‘desirable’ solutions get constructed in the first place and on whose interests and experiences of desirability these are based. You can read more about Janaki Srinivasan's research here and here. Dhingra, Swati and Amartya Menon (2016) "Demonetisation is not the way to tackle corruption" LSE South Asia Blog, November 30, 2016. Masiero, Silvia (2016) "Demonetisation and information poverty: Insights from slum areas in Bangalore and Mumbai" LSE South Asia Blog, December 5, 2016. 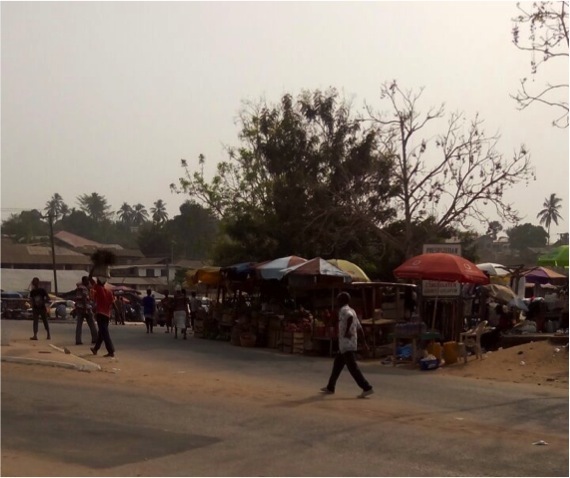 In January 2016, the Lagos Business School (LBS) launched a research project seeking evidence-based sustainable business models for the delivery of digital financial services (DFS) to the unbanked poor in Nigeria. Supported by the Bill & Melinda Gates Foundation (BMGF), this two-year initiative aims to provide evidence-based insights to support the mobile money conundrum in Nigeria as well as enhance ecosystem capacity. The initial stage of the project employed periodic industry dialogues, global expert knowledge sharing sessions, and in-depth global case studies produced by student-teams from the Pan-Atlantic University (PAU) community. 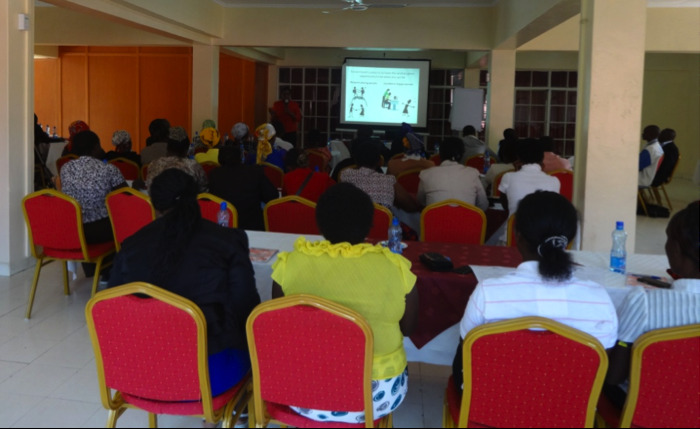 These processes led to the writing of the State of the Market Report and the formation of the first ever Stakeholder Forum on DFS. The next phase of the project will focus on market-enabling policies for a thriving DFS ecosystem. This blog post summarizes the initial findings documented in the State of the Market Report. For me as the team lead, this project titled "Sustainable Business Models for Delivering Digital Financial Services to Lower Income Unbanked Citizens of Nigeria" has personal significance and correlates with my broader interest--understanding the role and application of information and communications technology (ICT) in business and society. Since the mid-1990s, the Nigerian banking sub-sector has been extremely active in their adoption of ICT, capitalizing on various technologies to enhance service delivery and operations and has thus been focal to ICTs role in business and society. In 2013, I commenced scholarship with the Institute for Mobile, Technology & Financial Inclusion (IMTFI), coordinating the project on mobile money utility and financial inclusion in Nigeria and Ghana. It was a study in which my colleagues and I analyzed findings from each market and highlighted some adoption and utility contrasts between Nigeria and Ghana. In Nigeria, we empirically validated that in spite of the high mobile penetration rates, mobile money adoption and utility were exceptionally low, as a result of factors such as poor market development, trust and inadequate service delivery practices. Unlike the widely recorded success of M-Pesa and mobile money utility in Kenya, Nigeria is yet to reap similar benefits. 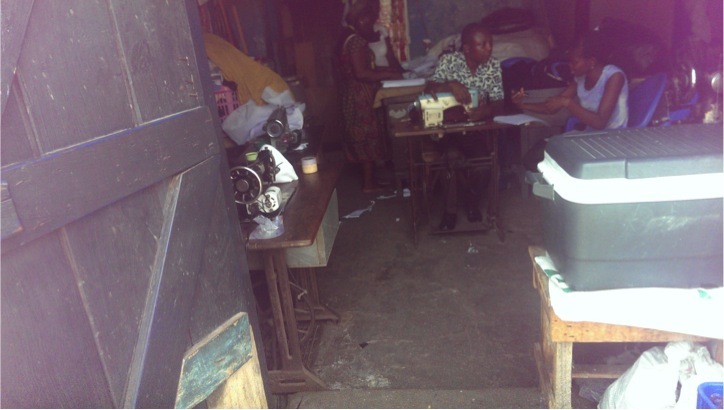 As of 2014, 60 percent of adult Nigerians were financially served. Closing the gap to meet the national financial inclusion strategy (NFIS) target of 80 percent by 2020, would involve the acquisition of about 18 million consumers as well as contributions from all ecosystem actors. Consequently, this project is a scholarship initiative to support the achievement of the national financial inclusion strategy. In view of low mobile DFS utility, we sought to unlock insights and sustainable business models to propel mobile money operators (MMOs) in the creation and delivery of DFS to the financially excluded. The consumer insights were derived from detailed analyses of multiple secondary data-sets on mobile money utility and access to finance (A2F) collected between 2008 and 2014. From the analyses, consumer profiles and value propositions of the under-banked and unbanked were articulated. On the supply side, the assets, resources and capabilities required and available to create and deliver sustainable mobile DFS to under-banked and unbanked consumers were examined. 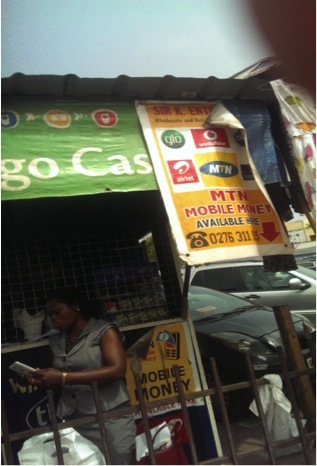 We discovered that suppliers require a complement of physical (technology, people, locations, finance and processes), human capital (competencies, partners and knowledge) and institutional (execution/leadership, competitive strategy, brand equity and culture) resources and capabilities for the effective and sustainable mobile money operations. 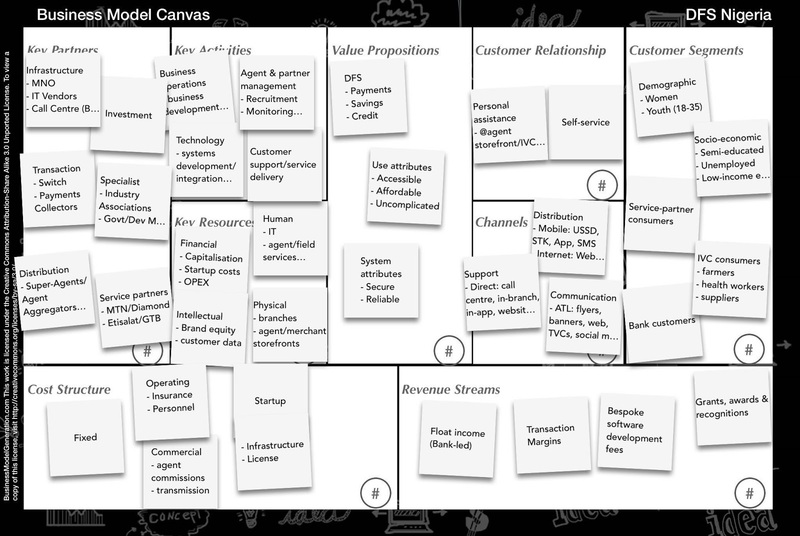 The business model canvas highlighting the various components of the MMO business model is illustrated in Figure 1. 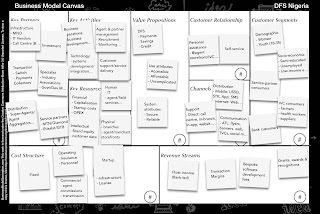 Figure 1: Business model canvas (BMC) for DFS. We went a step further to dimension the spectrum of competencies, understand network (channel) management from the fast moving consumer goods (FMCG) industry and compute the cost-to-serve. We learned that MMO competencies range from technology, business, network and field service operations or management to customer support/service delivery. From FMCGs, we discovered that distribution channels are built around effective route-to-market (RTM) and trade promotion strategies. Finally, using cost- and process-based approaches, we computed average self-service and over the counter (OTC) costs. From the cost-based analysis, we estimate average self-serve and OTC costs of N132 ($0.42 ) and N604 ($1.92) respectively. Alternatively, self-service and OTC estimates from the process-based approach yield average costs of N91 ($0.29) and N172 ($0.54) respectively by using exchange rate of $1 to N314.7 for currency conversions. Build network effects: the need for demand-side economies of scale or network effects through collaborative market development. Adopt new business models: we propose either focused or specialist models or a hybrid (see Figure 2) that may be deployed nationwide or in limited geographical markets. Alter financial model to reduce transaction costs: cost reduction suggestions include the adoption of alternative and cheaper technologies, access to patient (inexpensive) capital and the possibility of additional revenue streams. Develop capabilities: the need of specialist capabilities in areas such as payments systems programming as well as more complex human capital and institutional capabilities are in short supply and in need of systematic and structured development. Alter industry structures: finally, we believe that some changes to the current supply and agent industry arrangements are required to facilitate better collaboration and interoperability amongst operators. All through 2017, we shall extend our scholarship pursuits and focus on understanding the role of another critical ecosystem participant, the regulators and market-enabling policies for DFS. Notwithstanding, we believe that adoption of these supply-side recommendations will lead to a more vibrant DFS ecosystem as well as the attainment of the national goals and the intended benefits of financial inclusion for all Nigerians. Mobile Money Utility & Financial Inclusion: Insights from Unbanked Poor End-Users in Nigeria and Ghana by Lite J. Nartey and Olayinka David-West. IMTFI Blogpost. Nov, 15, 2015. 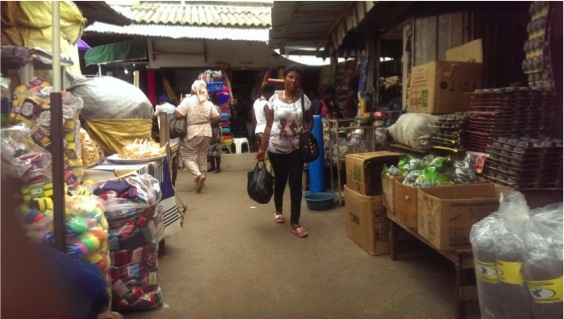 "There is power and some good feeling in holding cash"
Ghana’s informal economy is dominated by small and medium-scale enterprises (SMEs) whose huge contribution to the economy is widely acknowledged. SMEs are, however, characterized by limited application of technological innovation that could enhance business financial transactions. Current non-cash payment platforms in Ghana include switch and card, primarily operated by e-zwich, gh-linkTM; mobile or wallet money operated by big mobile telecommunication companies such as MTN, Airtel, Tigo, and Vodafone networks. There is also real-time gross settlement system (RTGS), a funds transfer system where the transfer of money or securities takes place from one bank to another on a "real time" and on a "gross" basis. There are a limited number of SMEs using digital financial platforms for transactions despite efforts to encourage adoption and utilisation. The Bank of Ghana (BoG) has attributed the low adoption of digital payment platforms to high illiteracy and ignorance about the relevance of non-cash payment systems (BoG, 2014). In our recent study, we found that, indeed some operators of SMEs in Ghana have adopted some form of digital financial payment for personal and business transactions. Our study also confirmed that illiteracy and lack of knowledge about digital money are the two predominant factors that affect adoption and utilisation of available digital payment platforms. However, we found two other reasons that will require more than literacy to encourage patronage among SMEs in Ghana – the high value of cash and low feelings of trust. In the remainder of this blog post we highlight some of people’s perceptions about the value or power of holding physical cash over digital money and the issue of trust expressed in the reliability of the system and its operators. There is the feeling among some SME operators that counting cash at the end of a day’s business is an indication of a good day. One is able to determine physically whether or not the day’s transaction has been good or bad. More importantly, holding money and counting it at the close of the day enhances one’s self-image and gives a positive self-feeling. In the expression of one lady in Makola, Ghana’s busiest market in the capital city of Accra, the power associated with the holding of cash supersedes digital money. The feeling of having cash in hand arouses a greater sense of liquidity, power and feeling. “When I make my sales, at the end of the day, I want to sit down and count the money. Then, my self-esteem is enhanced. And then I also feel that I am working. But if the money is on a machine like the mobile thing we are talking about, it doesn’t make sense to me. 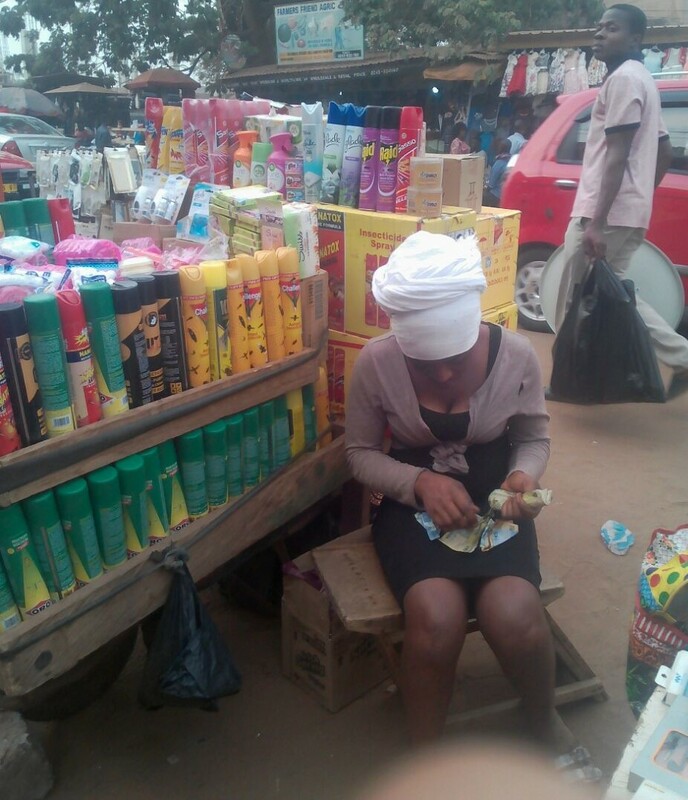 There is power and some good feeling in holding cash [more] than there is with numbers on your phone or on a card.” (A 28-year-old female make-up kit trader in a focus group discussion in Makola, 24/3/2016). This expression resonated among most of the participants in our study, who immediately concurred with this sentiment. In cases where people have received a mobile money transfer for example, they will immediately go and withdraw the cash. However, the distrust of the mobile money system could often be linked to misunderstandings of how the system works. For instance, some SME operators expressed concerns as to why one had to pay for registration fees and charges for transfer and withdrawal of money from mobile money vendors. Others expressed concerns about the need to pay charges for some of the most basic services. These concerns suggested that the SME operators feel exploited with fees or charges; eliciting their fear that mobile money service providers are cheating them instead of helping them with their businesses. But mobile money service agents and some platform service providers have noted that what subscribers call registration fee is actually an initial deposit for the wallet, just as it would be the case in starting a savings account with a bank. Notwithstanding the concerns of some SME operators about the challenges and the fact that there is the need for one to count his/her cash at the end of day, some SME operators do acknowledge some positive aspects associated with utilising a digital platform service. “I don’t carry cash in my bag these days. At first when I travel to buy goods, we are usually attacked by armed robbers but with the mobile money technology, I usually transfer all my cash onto my mobile money wallet and then when I get to my destination, I withdraw it into physical cash to transact business. And so, even if we are attacked by robbers, they can only take my mobile phone and only a small amount of money away. Even if I lose my mobile phone, I still have my money because the code is with me” (A 32-year-old female cosmetic trader in Makola, 06/04/2016). “The benefit of keeping my money in my mobile money wallet is that when they pay me cash, it is likely that I may do an impulse buying but if the money is in my wallet it will be very difficult for me to go withdraw it. I hardly get time and if I will have to join a queue very often to withdraw money, then I will prefer that the money remains in the wallet. So it is more or less like a bank savings for me” (A 27-year-old female trader in Makola, 06/04/2016). Digital payment platform designers and service providers have an obligation to educate potential users of the digital payment platforms on the suite of services that they provide. They need to spend more time on public media to educate people about the operations or workings of the digital platforms and how even illiterate users can operate these effectively without relying on any second party for support. Improved education outreach can also serve as a catalyst in reducing fears about security and the safety of wallets. 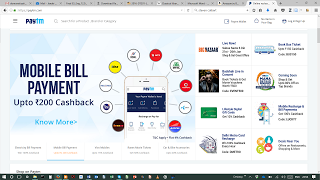 Specifically, user-centered education can help people understand how to access money in their wallet as well as operate and utilize all the available packages on the platform such as buying airtime and paying bills through the mobile wallet. Platform providers need to do more to allay subscribers’ fears of risk and losing money through theft, including by agents.